A multicultural meeting in the world of music! The three musicians – from the left: Morten Alfred Høirup, George Mihalache and Andrzej Krejniuk – are playing their first concert as a trio in October 2018. The Romainian cimbalom player George Mihalache, the Danish-Polish bass guitar player Andrzej Krejniuk and I, perform a mix of traditional music from our respektive countries, and our own compositions, spiced up with a few old Danish songs about sorrow, happiness, love – and other universal issues. We are all experienced musicians and each of us has traveled the world with many different bands, playing all kinds of music from the gipsies rousing wedding music, over the bold Danish traditional music and to the often improvised jazz fusion, and when we meet and each bring our musical upbringing and background, true world music is being created. We are so much looking forward to play this music for you. Our first concert is at Lundtofte Kirke (Lundtofte Church) in Kgs. Lyngby, Copenhagen Denmark on October 24th at 7:30 PM. Will we see you there? It is not easy to find news about the Danish trad, roots and folk music scene on any public service medias. That is why we started our own radio station and media platform at www.radiofolk.dk. Here you can both listen to live streaming, stream on demand , download podcasts, and find a home for your own podcasts, if they are about trad, folk, roots or related genres. I am right now working on six podcasts under the common heading: “Spillefolkenes Hemmeligheder – en rejse i dansk folkemusik” (The secrets of the musicians – a journey through Danish folk music”. These podcasts are made for an audience who are not experts of folk music, but interested whatsoever, and each episode will be about 20 minutes long. “Where do the fiddlers find the old traditional tunes?”, “How do you start your own folk festival?”, “Who are the young people in Danish folk music, and what are they up to?”, “Do the old naughty songs still make people blush?”, “What kind of music did the vikings play 1000 years ago, and what are they playing now?”, “Can you still use the ancient old songs and ballads now a days, and how do you find them in the first place?”, and so on. These podcasts are expected to be ready around May 1st, but it has still not been decided where or when it will be published. That you can get more info about on this Facebook page! Spillefolkenes Hemmeligheder is sponsored by Tempi – Roots Music of Denmark and The Danish Arts Foundation. We are also planning seven episodes of the podcast Katten i Sækken (The Cat in the Bag) during the next few month. Katten i Sækken is all about what is happening on the Danish folk music scene right now, and these episodes are also being sponsored by Tempi – Roots Music of Denmark and the Danish Arts Foundation, and supported by Rosa – The Danish Rock Council. Katten i Sækken, that I produce, will be free to download on Radiofolk.dk once a month for the rest of 2018 – except for July where we are having a holiday break. The May month edition can be listened to via this link! On Radiofolk.dk you can also stream and download the pervious 49 episodes of Katten i Sækken, plus a lot of other folk music podcasts in Danish. You might also be interested in the podcast serie Folk Live, where you can stream and down load quite a few podcasts with Danish trad, folk and roots music, recorded at the Danish Tønder Festival and hosted in English. By the way – you can also find all our podcasts on iTunes! OK, our trio Jensen, Bugge & Høirup has published a new video, recorded at Musik over Præstø Fjord Festival in August 2017. The spotlights was on in the old barn, which was decorated and had a nice dance floor for the occasion. The Dance Barn was crowded during the 1 hour and 15 minutes while we played a set of music prepared for the occasion introducing a mix of traditional as well as newly composed music, arranged for dancing as well as listening. The tunes is called Slottet (The Castle), and I composed this for a TV-show about a small castle, called Skovsgård, that was featured on Danish TV quite a few years ago. This was the first time that we used the tune for dancing, and it was wonderful to see how the dancers adopted the tune, and sang along while dancing. Josh Stærk did the recording, Louise Nipper from Soundscape Studio did the mixing, and Grete Marie Jensen did the filming and edited the video. 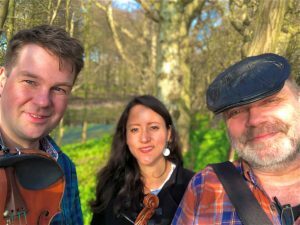 I am looking forwards these days to a couple of rare concerts with good friends and colleagues, the Native American Métis fiddler, Jamie Fox, and the traditional Danish fiddler, Kristian Bugge. In May 2017 we toured in the US, performing a few concerts at NorthWest FolkLife in Seattle (Washington, and at a few venues in Vancouver (Brittish Columbia), Missoula (Montana) and New York City. Since then we have been doing a handful of dances and concerts in, amongst others, the Danish cities of Roskilde, Farum and Odense, where we have enjoyed playing for a lot of music enthusiasts. And we are continuing the concerts in Denmark, first in Musikhuset Aarhus, on Sunday April 1st at 3:00pm, and then in Gaard Bageriet at Mors on Sunday April 22nd at 2:30. 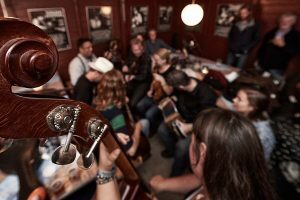 The music is a blend of traditional Danish dance tunes, and tunes from the Métis fiddle tradition, “spiced up” with a couple of old Danish songs, and what ever we might decide on the spot, including a few stories about the many strong personalities that we have met on our tours. I hope that you will enjoy this short teaser. We are playing a bit of the Métis tune “Sitting Bull”, that Jamie taught us. I got a real nasty virus infection when I arrived to Seattle to play a duo tour with my good friend and colleague through many years, violinist Ruthie Dornfeld. 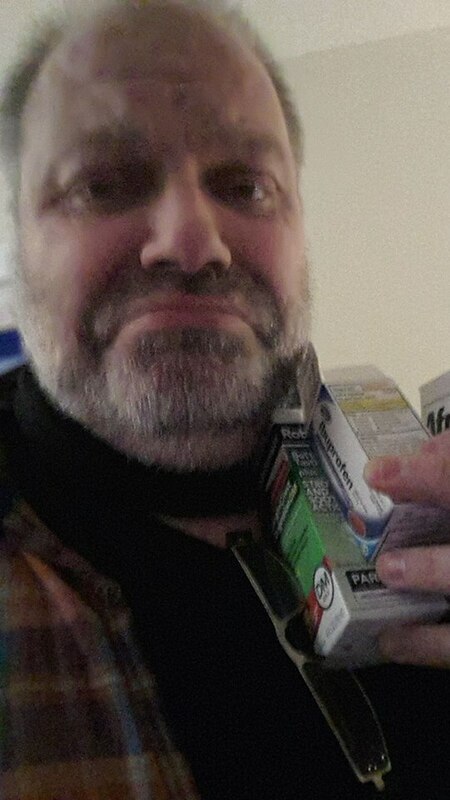 On this picture I am posing with some of the medicine that we bought, hoping that it would help me completing the tour – but unfortunately it didn’t do the job. 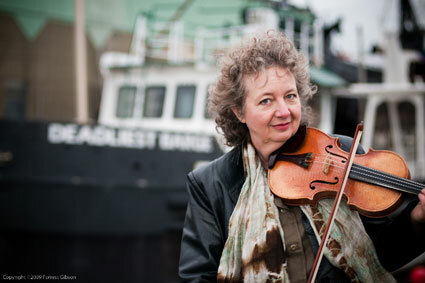 It happens very rarely that I have to cancel concerts, especially when I am on tour on the other site of the globe, but it just happened when I was touring with violinist Ruthie Dornfeld on the American west coast in the beginning of 2018. After the first couple of concerts it became obvious that I was infected with some nasty American virus, and after another couple of concerts on painkillers and rum toddies, we had to cancel a house concert in Seattle as well as a concert and a workshop at Bellingham Folk Festival. We were of cause sad about that, but fortunately – before I got really sick – we got to arrange and rehearse a very different and well functioning repertoire of music, music that we also got to test at a handful of very cozy concerts for happy people of all ages. That we are SO happy about, and we can’t wait until the next time we will meet and play music together. Here is a small pirate video recorded one evening at The Honeymoon Mead & Cidery in Bellingham, by Jan Peters. The tune is called Copenhagen Hoedown, it was composed by Ruthie Dornfeld and by the Finnish bass and jews harp player Tapani Varis, and recorded on ACO’s album “Nightmare Polka” from 2012. OK, now it’s official! After a long time of playing as a guest with the Danish Duo Jensen & Bugge, we have finally decided to join forces for good, and start the trio Jensen, Bugge & Høirup. We do play a mix of traditional Danish msuic, and music that we compose ourself, and we play both concerts for a seated and listening audience, and for a dancing audience. During the late summer of 2017, we played for a lot of happy dancers in the old dance barn (Danseladen) at Musik over Præstø Fjord Festival. We had the whole session recorded and filmed, and in the video above this text, you can watch a clip from a wonderful evening with dancing and a great atmosphere. We are playing a set of tunes from the little island Fanø, just west of Jutland, down south. The first tune Kristian composed while staying in Sønderho, the smallest and most southern of the two villages on the island, and the second one is the old sønderhoning, Lars Brinch’s Stykke. During the days of 9th to 21st of January 2018, I’ll be going on tour on the American west coast together with my good friend an colleague through more than 25 years, composer and violinist Ruthie Dornfeld. Through the years, Ruthie and I have been touring with – and composing for – the American Café Orchestra (ACO), in Denmark, Sweden, Finland, Germany and the US, first with the Norwegian bass player Anders Hofset, and then with the Finnish bass player, flute player and jews harp player Tapani Varis. In January 2018, Ruthie and I will be doing a few concerts just the two of us, featuring a unique repertoire of mainly tunes that we have composed our self, or compose along the way. The tour will consist of a handful of exclusive venues and house concerts, with a special invited audience, and we’ll finish up with workshops and a concert at the small but progressive Bellingham Folk Festival. 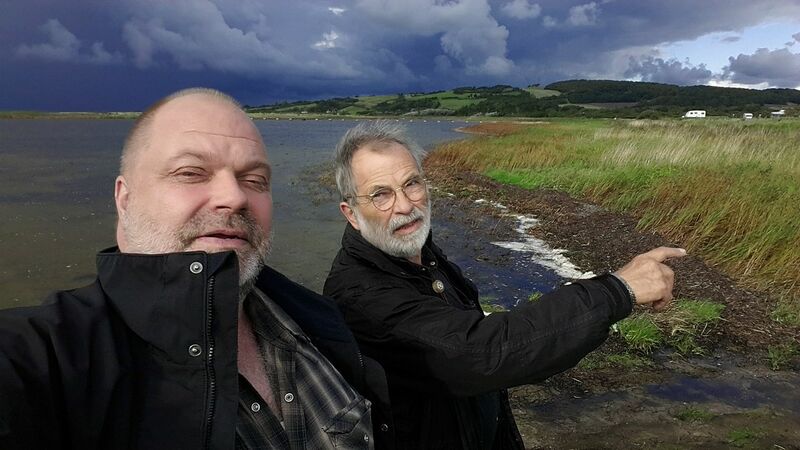 At the festival we’ll be sharing the stage with quite a few fine songwriters, composers and musicians, including La Famille Léger, Queens Bluegrass, Margo Murphy & John Roberts og many more..
My father, singer and accordion player Fin Alfred, and I enjoying the beautiful view on our way to a gig in Hørve, just before the weather went absolutely crazy! This year my old man and I celebrates that we have been performing together for 40 years – in fact we are pretty proud of it! We have been doing all sorts of concerts at weddings, flea markets and harbor festivals. During the last few years we have focused on folk clubs and festivals, and that has been a lot of fun, leading to visits at venues like Copenhagen Folk Club and Skagen Festival. Our show features Fin Alfred and his many songs that he has learned during a long life with music, and the stories about them. Last week we spend a wonderful evening at the Music Society of Drauget in Hørve in the Northern part of Sealand, and the couple of months, we’ll be touring in the beautiful Danish fall, while performing in Copenhagen, Vejle, Stubbekøbing and Svendborg. One early morning a bit outside the village of Hattavik (in the background, at Fugloy, Faroe Islands. It is raining but it is a lovely day, and the sea is calm. Well home after a fantastic tour on the Faroe Islands, with lots of music, sun, sailing, whisky and dried fish, I find it difficult not to cheer. What a tour, what a beautiful nature, og what wonderful people. We performed many places, amongst them the islands of Mykines, Fugloy and Nolsoy, and we had a great tour. At the same time we managed to arrange and rehearse a lot of traditional as well as original music, and got inspired by, amongst others, the Danish baritone sax duo Charlotte Andersson and Jeanette Balland, and the Russian-Faroese duo Vera Kondrateva on vocals and jews harps, and Kristian Blak on piano. This concert is focused on music arranged for dancing as well as concert, and we’ll record it all on video. We hope to se you there! “Mykinesbygden” is the name of the only village on Mykines. 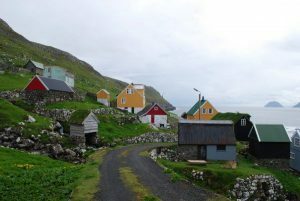 The population of the island is only 19 individuals, but during the summer, tourists are flocking to enjoy the unique nature there. During the days 9th to 16th of July 2017, Jensen & Bugge + Høirup will be touring Faroe Islands. We will be performing a number of shows in connection with the local folk festival “Fólkatónleikastevnan”, which will be “traveling” around the islands. We will be visiting the small enchanted island of Mykines, and Fugloy, another small island. We will also perform at Nordens Hus (The Nordic House), and at restaurant Kvonn, both in Tórshavn, the capitol of the islands. Then we finish up at G! Festival in Göta, where the wonderful Faroese singer, Eivør, was born. I have been to Faroe Islands quite a few times during the years, and it has always been a fantastic experience to visit. 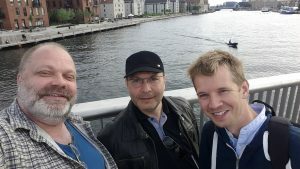 First time I was there was in the middle of the nineties, and later I visited the islands once with the violin and guitar duo, Haugaard & Høirup, and several times with the folk-world music band Himmerland. I love Faroe Islands. 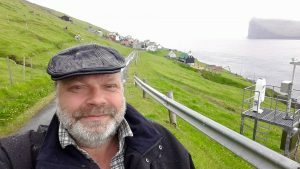 There you’ll meet the most lovely people, a wonderful nature, an absolute fabulous food tradition, and an exciting cultural life all in all – and further more I find that Tórshavn serve the best fish ‘n chips in the world! You’ll find a video from Faroe Islands here! The music on this video is made by Eivør!